You can almost feel the tropical breezes as you enter the room. The Cayman Lined Empress Swag hosts a restful palette of color, with large tropical leaves done in multiple shades of green, blue, and sunrise yellow against an ivory background. A yellow twisted braid frames the graceful scalloped edges along the bottom of the swag adding just the perfect finishing touch. 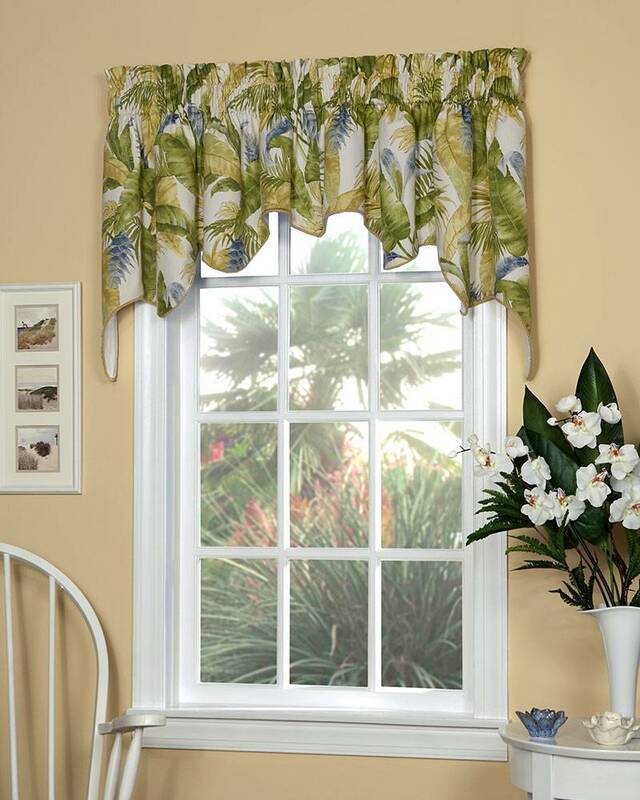 Recommended for windows 36" to 60" wide - for wider windows add Cayman Lined Empress Filler Valances. (Insert filler valances between the right and left swag panels.) Handcrafted and fully lined. Made in the USA.